In her article on the subject, Paskin considers the logic of picking up canceled series, arguing that “continuously “saving” other networks’ series, and especially a middling show like “The Killing,” seems like a long-term blunder: How do these companies prove they are something new and fresh when their most high-profile acquisitions are other networks’ also-rans?” It’s a great argument, but I’d contend it’s something that Netflix and DirecTV already believe—DirecTV has said they have no intentions of following this business model (focusing instead on importing shows from other countries, like Canada and the U.K.), while Paskin herself notes that Netflix is moving in the direction of original programming. But it seems like Arrested Development has become a signifier of Netflix’s interest in resurrecting canceled series: Greenwald notes that “As with recent rescue jobs Friday Night Lights, Damages and — beginning next spring — Arrested Development, adding an existing show not only guarantees a set (if small) fan base, it also saves considerable time and development dollars for outlets that don’t yet have much experience creating their own hits.” However, are those three examples analogous with The Killing? Friday Night Lights and Damages were never officially canceled, with the production studios involved working out a deal with the existing network (an exclusive window for FNL, outright exclusivity for Damages) to take an active role in the production of future seasons. It’s the difference between saving something from being thrown in the trash and pulling it out of the trashcan and trying to dust it off. One could argue that Arrested Development was canceled, but it never entered the trashcan. Cult fans of the series rescued it immediately, bestowing it a position of honor in the “Wrongly Canceled TV Shows” hall of fame even when FOX gave it two more seasons than its ratings deserved (Seriously: we need to stop blaming FOX for canceling a show no one was watching two seasons after they would have been justified canceling it). They’ve bought the DVDs, made the GIFs, and streamed the series on Netflix over the past six years, work that has transformed the series from a show to be resurrected into a franchise to be revived. The latter project is a unique opportunity for Netflix, one that has less in common with The Killing than the countless mentions in reports on this subject would suggest. Accordingly, Netflix and DirecTV probably hate that this news has spread as far as it has, as it reinforces identities for their respective “networks” that are at odds with their actual philosophies. Don’t get me wrong: I’m sure Netflix and DirecTV and Amazon and Hulu are all open to opportunities that emerge to pick up new content, and will likely take meetings as a sign of good faith in case something truly great comes along in the future. However, as Paskin’s response demonstrates, their association with The Killing was actually a negative one for some, and it’s an association they likely had no intention of making public. The notion that Netflix and DirecTV have become television’s dumping ground for canceled shows is built on precedents that don’t match up with the possible pickups being reported, and a construct of reporters’ stories as opposed to an actual development philosophy at any of the companies involved. Regardless of whether Netflix and DirecTV want to play this role, these reports—all of which have proven to be duds to this point—have cast them in it, and I’m of the mind that we need to interrogate this more carefully before accepting it as reflective of internal policies. It’s entirely possible that Netflix or DirecTV could pick up The Killing—however, I’m not convinced it’s any more possible than it was two weeks ago, and I’m certainly not convinced it would reflect their philosophy to this point despite what these reports may suggest. Are you serious? So you actually think anybody in the world will read such a long, scary-level-boring article about your assumptions of what Netflix and DirecTV are thinking about picking up The Killing. Besides, expressing interest means something about that they put that show as an option. I have no problem with your opinion about the show, but you can accept that there are some people who would like to see a third season comes by and leave them alone.. It’s not so nice for the show’s fans to see this article that’s making their favorite show look like a bad one.. And PLEASE- try to write your posts with some words that won’t make the reader feel like he’s stuck in 1800. I, personally, didn’t understand half of this article because of your weird little language. I would love to hear what you wanted to say in the rest of your post which I didn’t read, but I eas so bored. His article is on the meta of television, not on the merits of a show. If you don’t want to read about that, don’t read about it. Great piece Myles. It’s nice to read something that probably didn’t occur to many but seems pretty reasonable on the face of it. 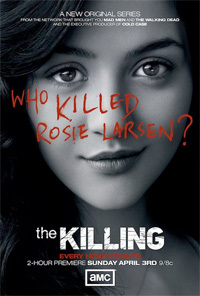 I’d also be surprised to see The Killing picked up, but since they now have some press behind it, and as you’ve said they do well with importing foreign shows for a new American audience, do you think it would be a smart move to air the original (and many who have seen both argue superior) Danish version? As a Brit who saw it air on BBC, I know Americans are notoriously resistant to watching subtitled shows, but if Netflix want to air programming in a different way to the networks, their content might as well be different too. Then again, it’s probably not ‘shiny and new’ enough.